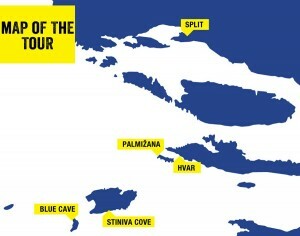 Here you can purchase the private tour to Blue Cave and Hvar from Split. You will receive your tour ticket immediately upon booking confirmation. You don’t need to print our the tour ticket, just show the ticket to us, once you arrive in our office, on your cell phone or tablet. Included in the ticket: free pick up service (subject of availability), entrance fee to the Blue Cave, snorkeling mask, water/windproof jacket, safety equipment on board, insurance. Ticket excludes: lunch is at your own expense in Palmižana where there is a wide choice of restaurants. 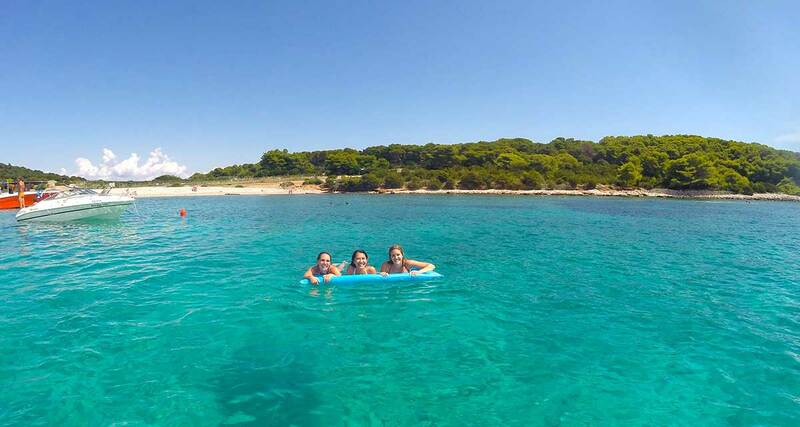 Besides the opportunity to book a daily ticket for a seat on our speedboat departing daily to the Blue Cave and Hvar you can also choose to book this tour privately for your group. Even though we recommend you to visit all the regular stops on the Blue Cave Tour, you can arrange your own itinerary with us and visit interesting destinations that are on the Blue Cave route. The biggest advantage of booking a private Blue Cave tour is the flexible departure time as well as the time we spend on each stop of the tour. If you don’t want to spend two hour in Palmizana on Pakleni islands we can leave from there earlier and give you more time to spend in town Hvar for example. You can also choose to skip particular destination on the tour and substitute it with another destination which is nearby. You can also choose to skip particular destination to have more time on the destination which interests you and where you want to spend more time in order to explore it. Our usual stops on the Blue Cave tour include Blue Cave and Monk Seal Cave on island Bisevo, Stiniva Cove on island Vis, Green Cave on islet Ravnik, Budikovac lagoon on Budikovac island, Palmizana bay on Pakleni islands archipelago and finally town Hvar on Hvar island. As already stated, in agreement with your skipper, you can choose how much time you want to spend on each location or you can choose to skip particular destination completely. Also, you may want to include some other destinations which are not included on our regular Blue Cave tour which we do on daily basis. Some destinations you may wish to include in your private tour to Blue Cave are small town Komiza on island Vis, famous for their traditional fishing boats called Falkusa, town Vis on Vis island, Carpe diem beach bar on Pakleni islands, Vela Garska bay on island Hvar, a popular diving spot or beautiful town Milna on island Brac. 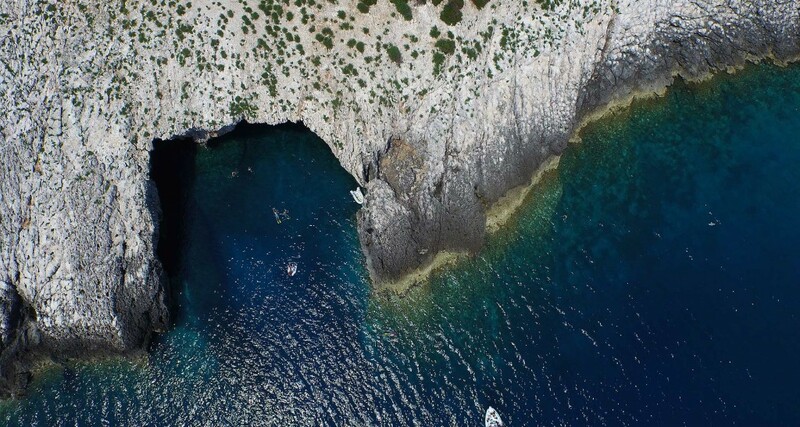 Private tour to Blue Cave from Split was designed and thought over with the main intent to present you with our most popular tour arranged with your interests in mind. We are confident that you will have the most memorable day on the private Blue Cave tour with all the regular stops included because we have planned them carefully and they all have some unique feature to offer, but we also want to give you the opportunity to customize this tour according to your desires. You can choose to book the private tour to Blue Cave from Split immediately and receive an instant booking confirmation or you can choose to contact us with any questions or information you need regarding the private tour.